Superdrug is venturing into professional beauty treatments with the launch of its Skin Renew Service, which will include anti-wrinkle and skin rejuvenation aesthetic treatments available to customers aged 25 years old and over. 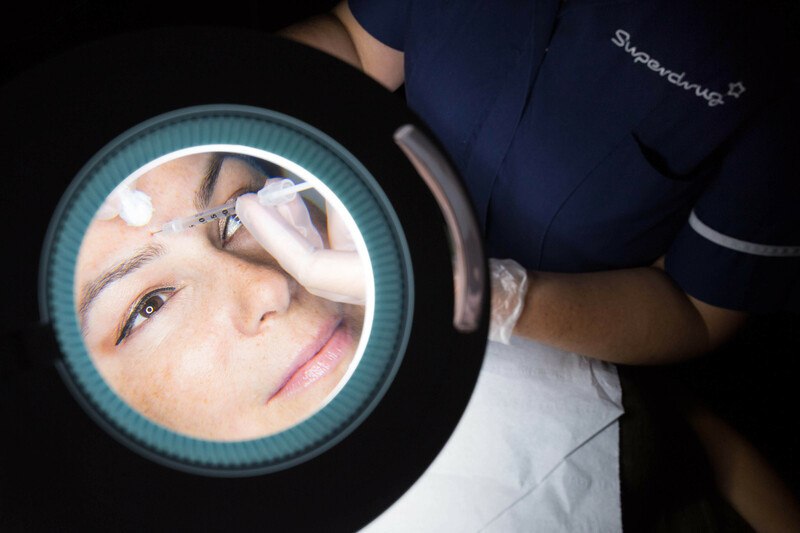 The move comes in response to feedback from nearly 10,000 customers which revealed a demand for anti-wrinkle and skin rejuvenation treatments such as dermal fillers. To ensure that the highest practice standards are followed, Superdrug’s Skin Renew consultations can only be booked by phoning their dedicated customer service team who are trained to answer any questions and help people decide whether a consultation is right for them. If a patient decides to go ahead with a consultation then it will be held with a qualified nurse. Trained nurses will ask each patient to complete a medical questionnaire to assess their eligibility for treatment. Our aesthetics nurse will review the information provided by a patient and form a clinical and professional opinion if the treatment is appropriate for the patient. Caris Newson, Head of Health and Wellbeing Services at Superdrug said, “We know from our research among 10,000 customers that feeling confident about how you look is linked to a person’s wellbeing, and that’s different for all of us. For some it might mean having their eyebrows threaded or getting their nails done, for others taking new vitamins or getting fitter, or it might be about smoothing out fine lines. “We’re launching this service in response to customer demand for anti-wrinkle and skin rejuvenation treatments. We’re listening to what people are telling us they would like which is the reassurance that if they choose to have aesthetic treatments then it will be administered by highly qualified nurse practitioners in a private consultation room. The service will initially launch at The Strand, London, with the view to roll out further clinics across the UK. The service will start at £99. Maker of Botox and Juvéderm, Allergan, said it was delighted with the partnership. A statement from the company reads: “Allergan supplies our leading medical aesthetic product range to over 4000 customers in the UK and these new customer relationships will help ensure our products are available to a wider reach of consumers in accessible and convenient locations. As market leaders, Allergan continually seeks to raise standards across the medical aesthetics industry. We are committed to working with our customers to ensure consumers looking to get medical aesthetics treatments can access the highest quality products from well-trained and experienced medical professionals."